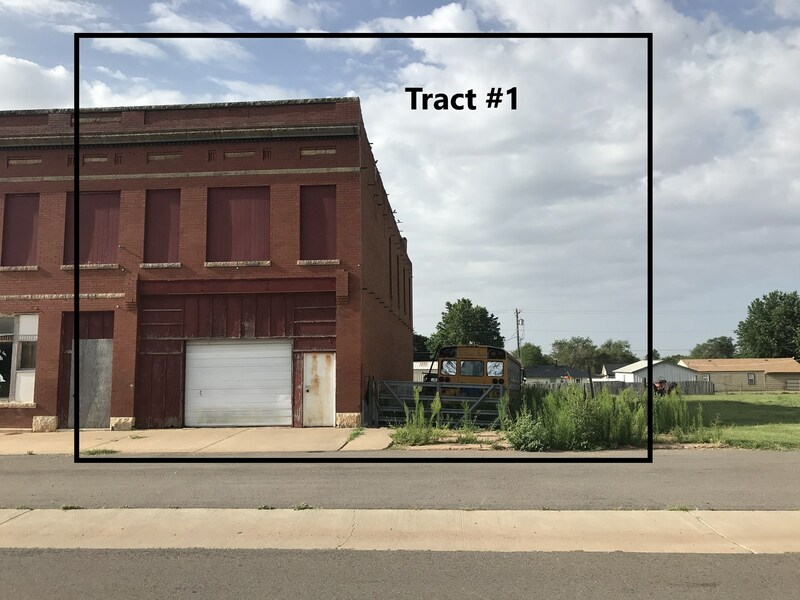 Tract 1 – 702 Main Street, Arapaho, OK 73620. The west side of the two-story building has approx. 2,000 sq. ft. The bottom level consists of a large warehouse with an overhead door on the front of the building. A wooden staircase that divides the two sides of the building leads to an upper level that consists of 6 rooms. 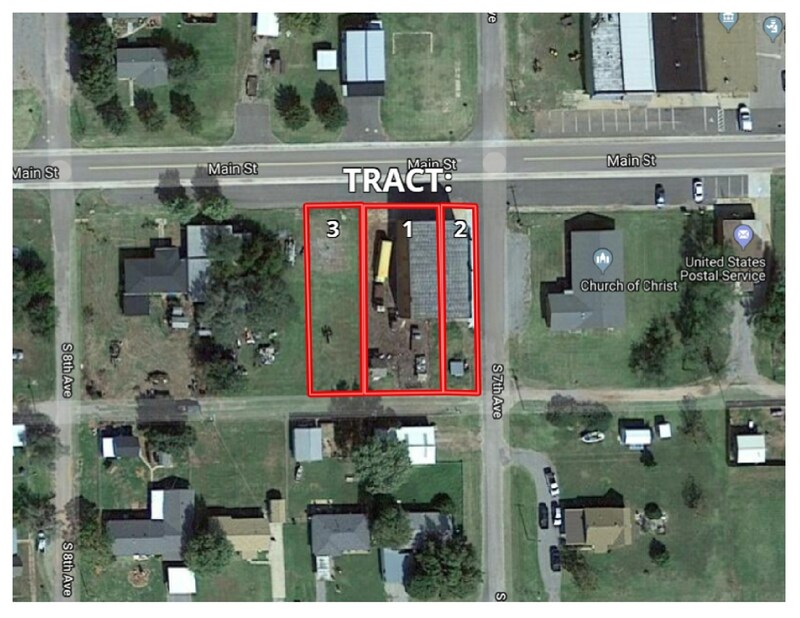 This tract also contains a fenced-in lot, adjacent to the west side of the building, that is 25’ x 140’.